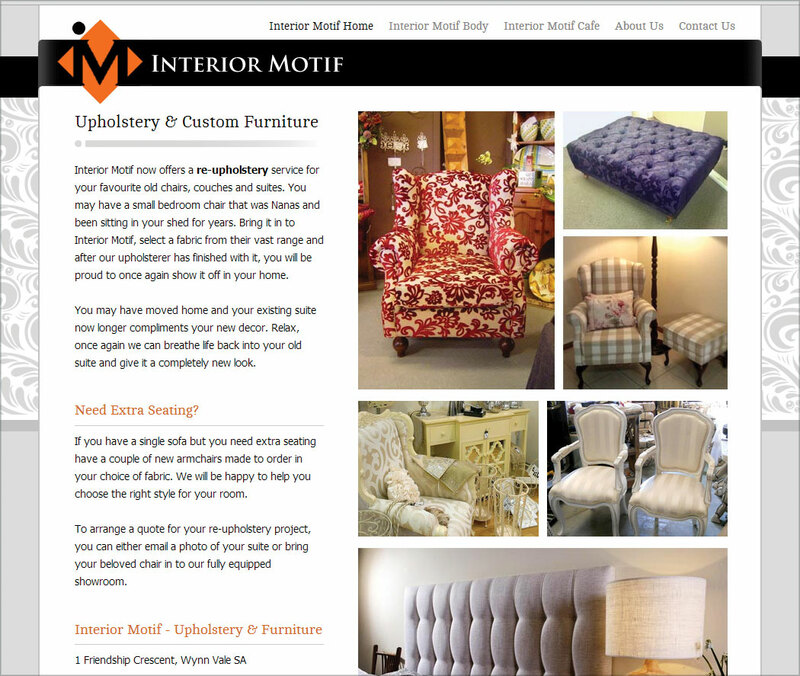 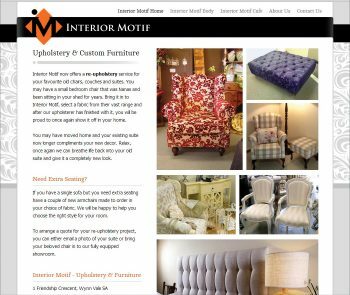 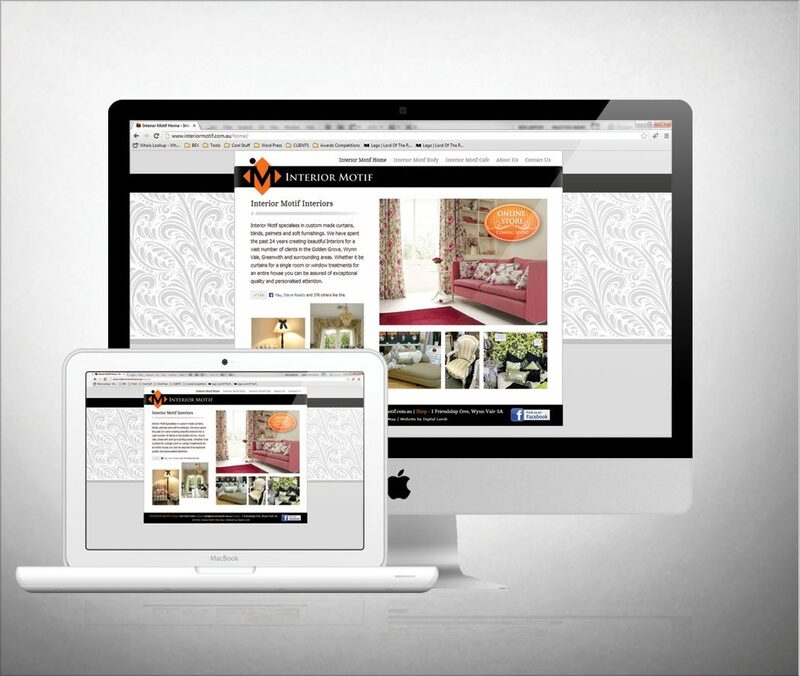 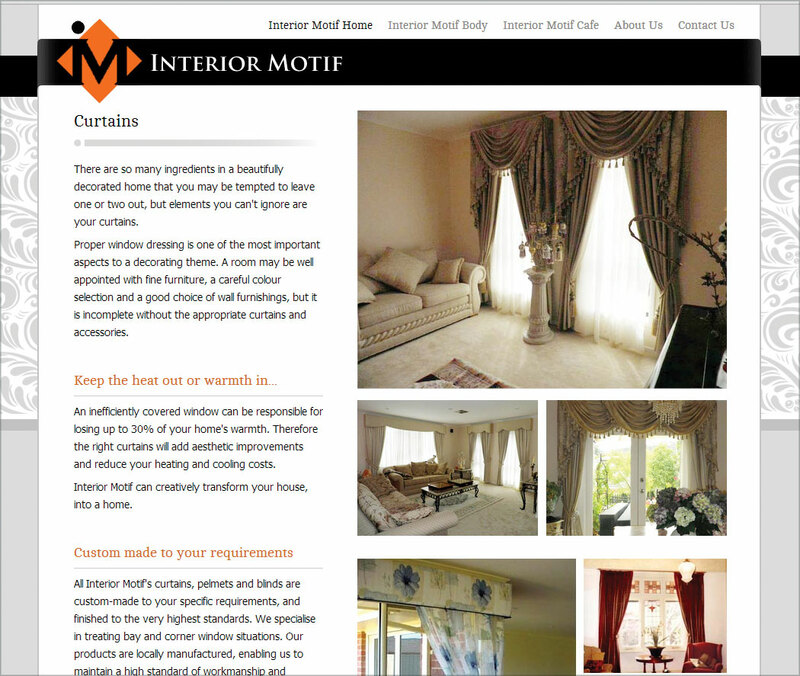 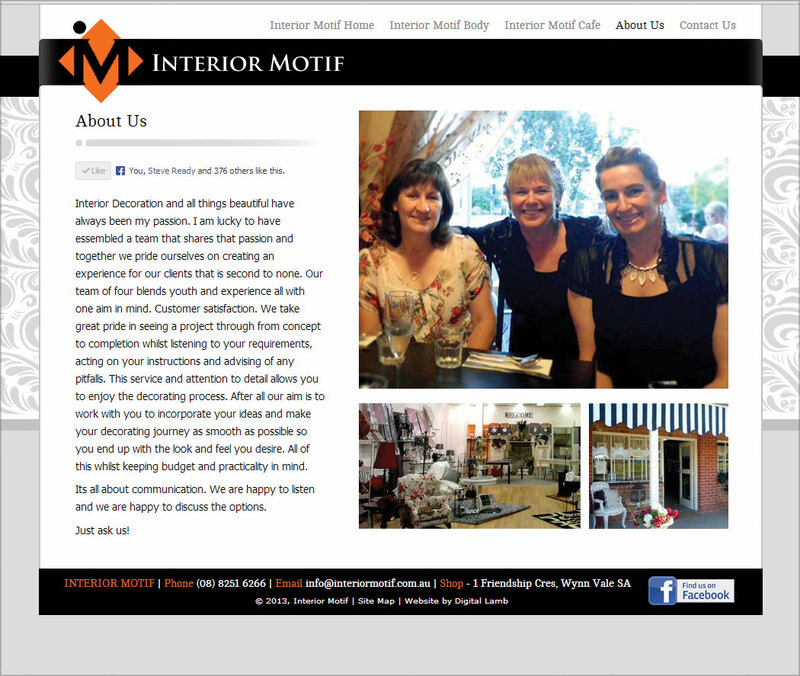 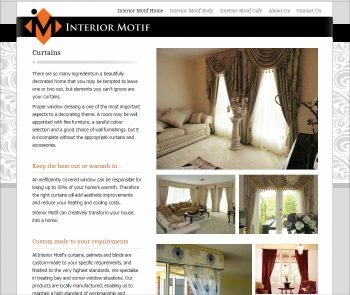 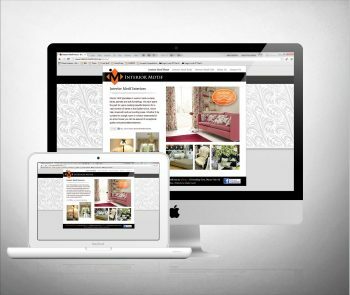 Interior Motif wanted to redesign and update her existing website to a CMS website with a new look, new features and new products. 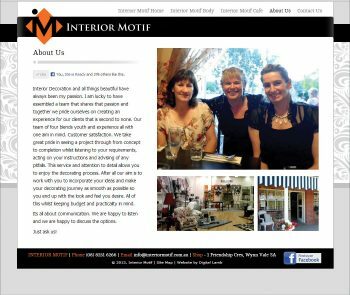 The new site had to highlight the different aspects of her business including interior decorating services, gift shop and cafe. 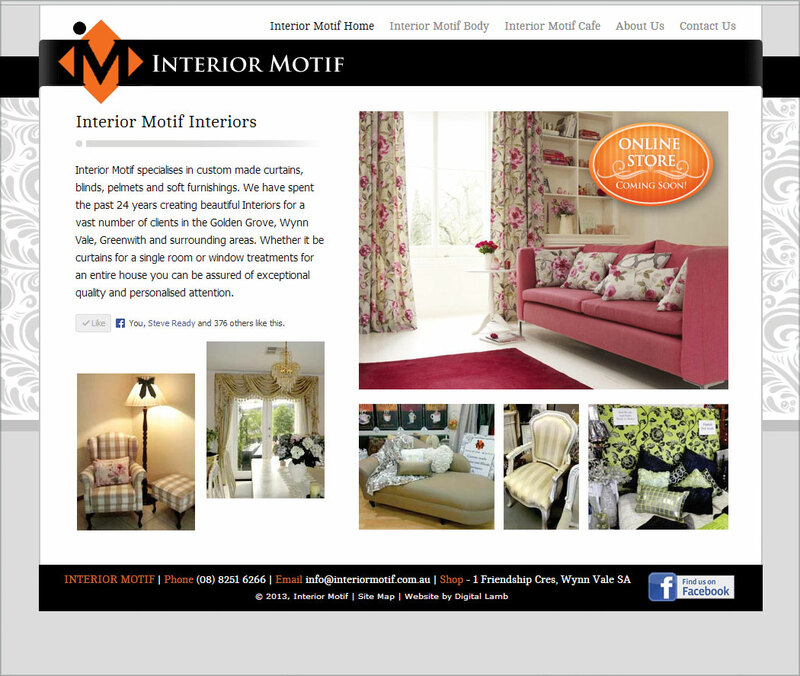 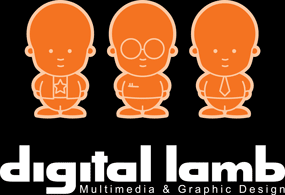 The site has been designed to include an online shop in the near future.